Front: Upper lever arms, lower wishbones, inboard Koni shocks/coil springs. 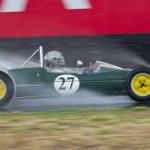 Lotus 27 Formula Junior No. 27/JM/22 (Tub No. 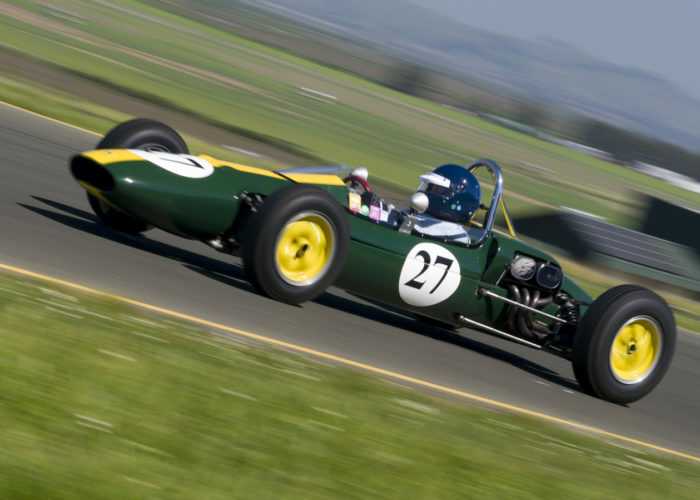 63-22) was originally purchased from Lotus and imported to the United States by “C. Haas” in July 1963. 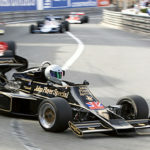 Carl Haas sold the car to General Motors, which reportedly used it for a study of monocoque engineering and design and then stored it for several years. Pat Nelson, a teacher at a Detroit high school, acquired the car when General Motors donated it to the school’s auto shop department. 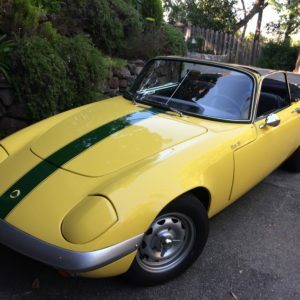 Pat apparently realized that a more conventional car would provide a better learning experience for the students, and that there was a higher and better use for the Lotus. 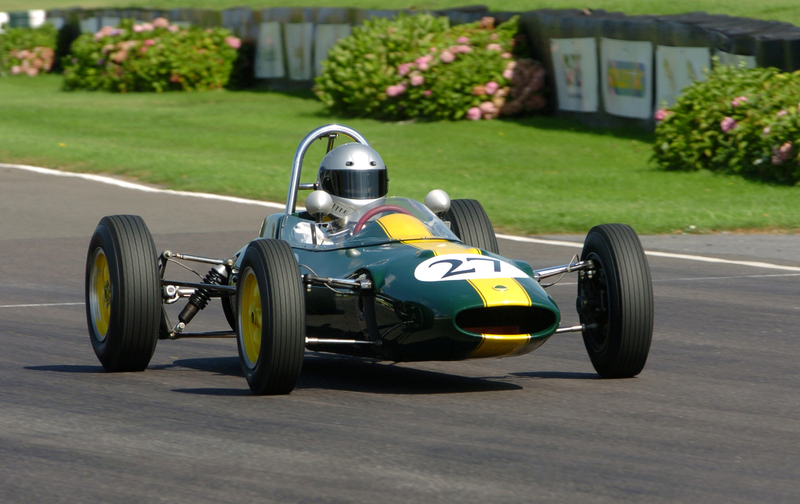 He succeeded in substituting a street car for the Formula Junior before dismantling could occur. 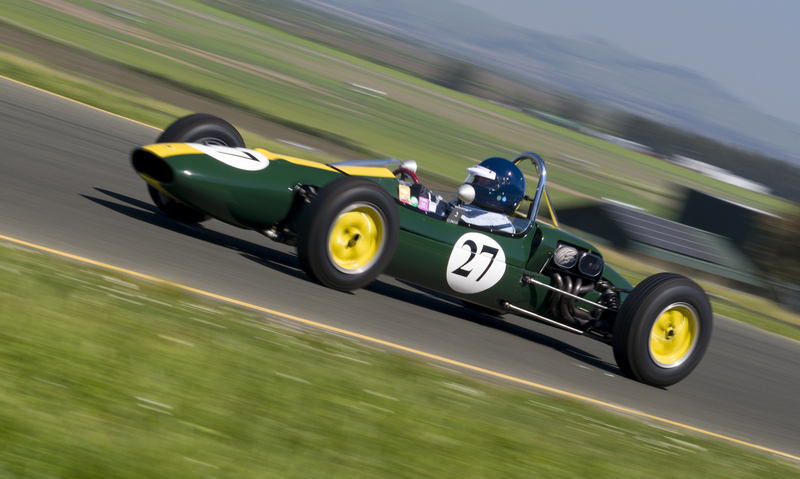 The rescued Lotus was raced by Pat in Formula C during the late 1960s through the mid-1970s. 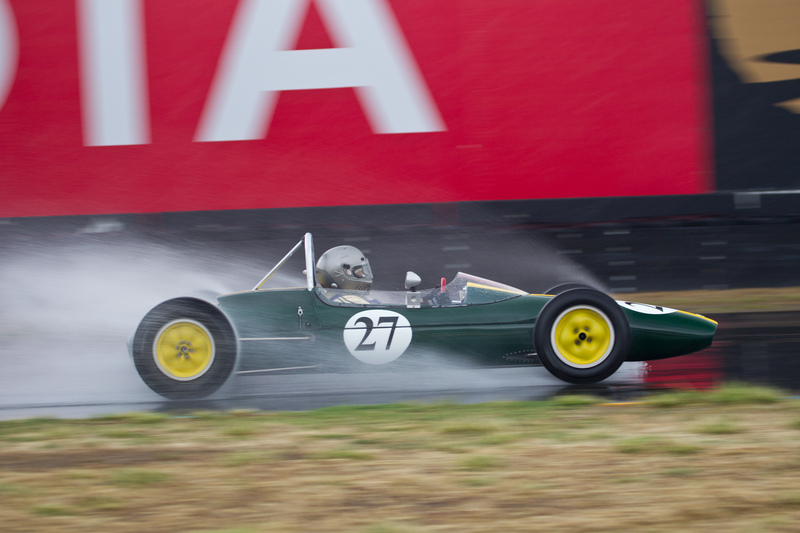 Jim Lloyd acquired the car from Pat in the mid-1970s and performed a complete nut and bolt restoration. 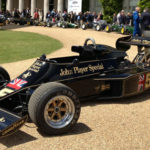 Jim recalls that the car still had the original Ford/Cosworth engine and was very quick, but that the handling was rather twitchy compared to the BT-29 he had driven for several years. 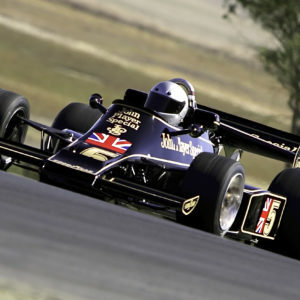 Jim vintage raced the Lotus for 3-4 years, including at the Chicago Historic Races at Road America, and at Watkins Glen in 1978, the year that Mario Andretti won the World Championship. 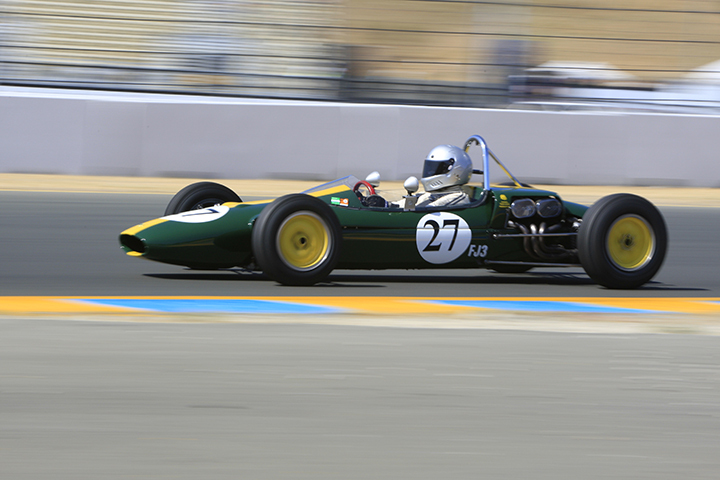 He recalls taking a photograph of the Lotus 27 beside Andretti’s winning Lotus 79. 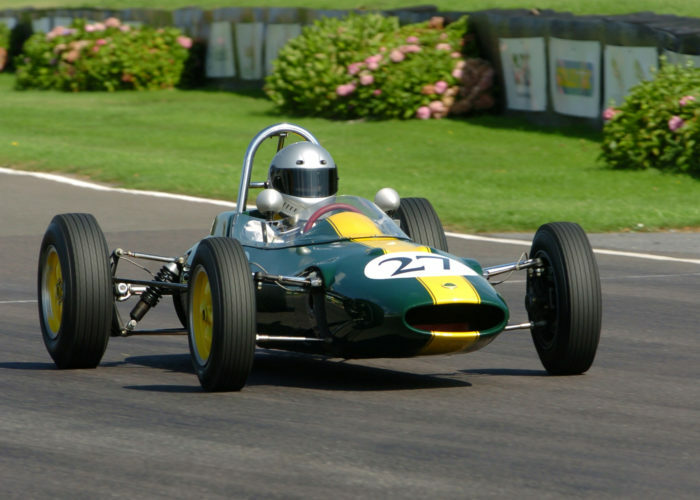 Jim’s last outing in the Lotus 27 was the Formula Junior 25th Anniversary at Mid-Ohio, where he sold the car to Jerry Morici. It was owned and raced by Jerry for several years, and a further restoration was performed by J.R. Mitchell, then of Bob Akin Motorsports. The car was subsequently owned and raced by Mike Taradash, Mike Fitzgerald, Reg Howell, Mark Mountanos and Tony Seiniger at vintage events throughout the United States and in the Bahamas. 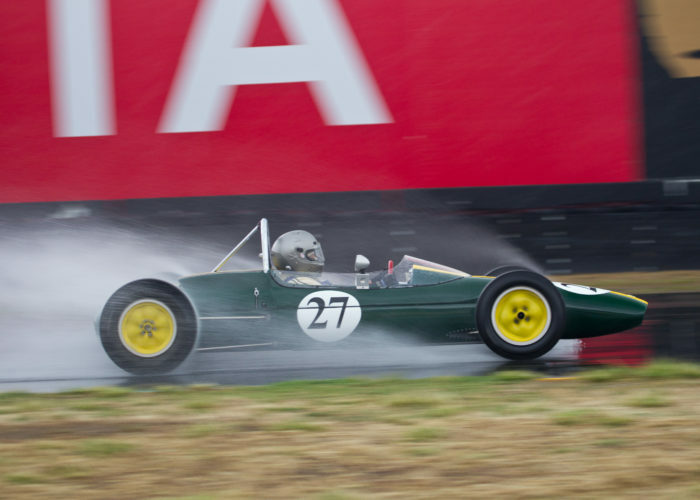 The car was re-tubbed by Mark Bahner after losing the right front corner in a collision following a spin at the 1999 Monterey Historic Automobile Races. 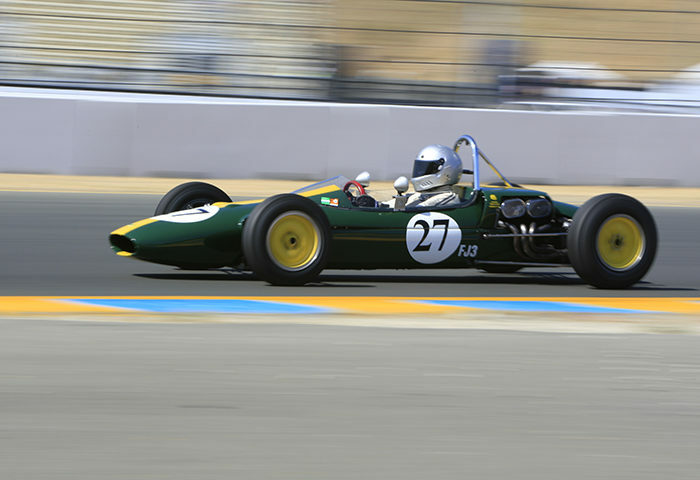 Tony sold the car to the present owner, Chris Locke of San Anselmo, California in December 2001. 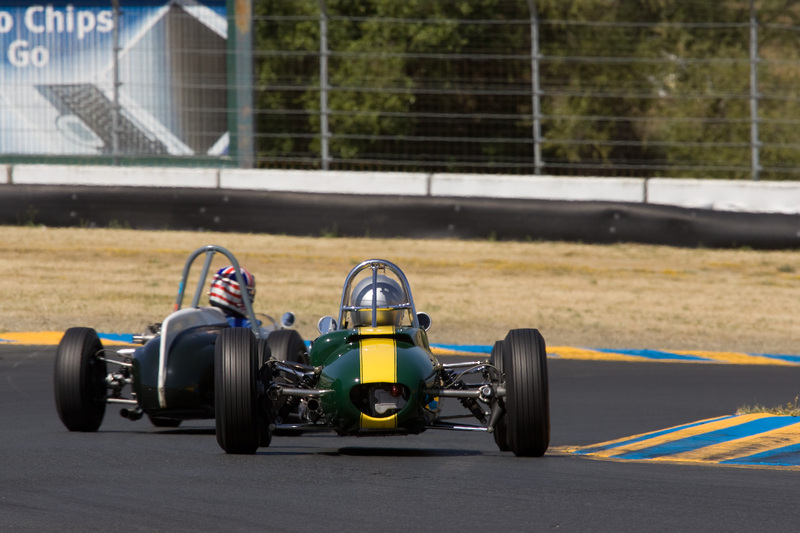 Chris was honored to have competed at the 2005, 2008 and 2011 Goodwood Revival in 27/JM/22, and to have received the Best Presentation and Performance Award at the 2002 Wine Country Classic. 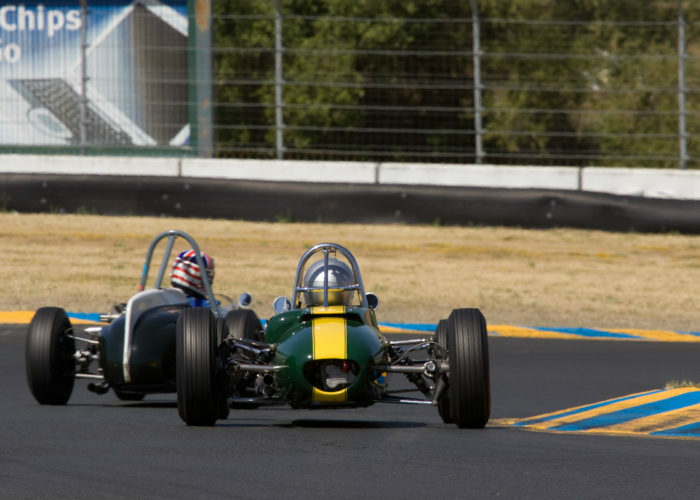 He races the car extensively at vintage events throughout the United States, Canada and Europe. 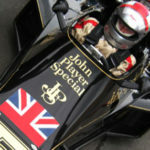 The car is maintained by classic Team Lotus Ltd., Hethel, Norfolk, and John Anderson Racing, Sonoma, California. With many thanks to Kyle Burt, Allen Rosenberg, and Peter Darley for these amazing photographs!